BRYAN EATON/Staff photo. 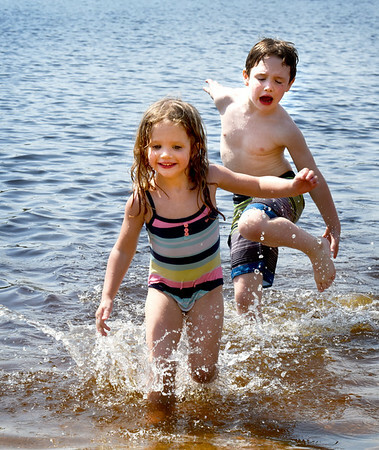 Brooke Tremblay, 3, and her brother Miles, 6, splash around at Lake Gardner Beach in Amesbury. They were there cooling off with the mom Laura as the temperature hovered in the high 80's.